Today’s Blog comes from an ex-secondary Headteacher, trainee therapist and Integrity Coaching Associate, Tim Small. Having spent thirteen years in Leadership Teams in three different comprehensive schools, I’ve enjoyed the joy and companionship that comes with close teamwork. I’ve seen how this collegiality and camaraderie creates an environment where individuals are motivated to work for each other and can thrive. However, I’ve also observed how tensions have the ability to frustrate our attempts to collaborate productively and harmoniously. 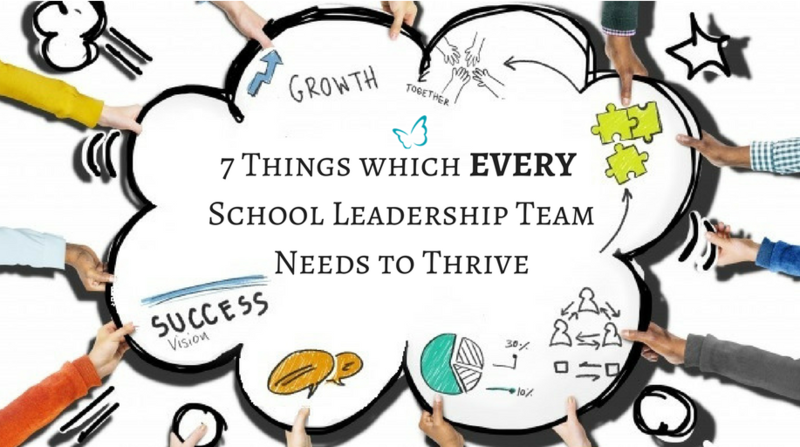 Having been in both scenarios, I’ve noticed that there are 7 things which school leadership teams can seriously benefit from having, when they are trying to build collaboration and fulfil their school’s vision. ‘How do I need this team to operate if I am to thrive in it and do my best?’ (It works well with a new class, too.) This works best if the outcomes are published and committed to. 2. Regular opportunity to re-visit the ‘Why?’ question! Why are we here? What is our purpose? It applies to the team’s existence, as to each project, task or problem to solve. Our senses of direction and fulfilment derive from our purpose. It can get lost in operational detail, which sometimes makes ‘getting things done’ seem more important than the big picture. It never is! More time is wasted by losing purpose than by revisiting it. It is amazing how much easier it is work in a team when our colleagues understand us and know about some of the uplifting or difficult baggage we are trying to leave behind each morning. Ideally, we laugh and cry together as well as work together. We are whole people and the work is lighter when our hearts are as welcome in it as our bodies and minds are. Every two or three years, or before a new cycle of development, review everyone’s roles and titles. The first Head I worked with as a Deputy insisted everyone in the SLT would, in time, be prepared for Headship. We were never type-cast as ‘pastoral leader’ or ‘curriculum deputy or ‘resource manager’. My dedication was invigorated by negotiating a new role and title. We understood each other’s work, too, because we had either done it or were going to. The most powerful form of self-evaluation is to check how well or how far an agreed purpose has been fulfilled. It should be confirming and rewarding, whilst also clarifying next steps in the agenda: either another purpose is needed or there is more we can do for the current one. When reviewing our team’s performance against our purpose, it is also important that we don’t ‘miss the wood for the trees’. We can be too close to the action, have too much invested in it, to be refreshingly honest and objective without judgements feeling like burden. Get off-site and, if resources allow, hire a skilled, experienced critical friend or coach to facilitate. This can help give a helicopter perspective, that can prime the team for strategic planning. When a school has nurtured and embedded a coaching culture, school leaders are equipped with the knowledge, skills and confidence to utilise coaching to get the most of staff by empowering them to take ownership of both their actions and goals. In a coaching culture, school leaders are more able to identify the different personality types and the different strengths that members of staff can offer and then manage these to best support the team’s growth and development. The School Leadership team are better equipped to handle difficult conversations successfully which means that conflict is minimised and more collegial teamwork can be facilitated. Above all, in my experience staff feel more supported and motivated in their roles and empowered to thrive in their roles. Are you Ready to Nurture a Coaching Culture in Your School? If you’re interested in nurturing a coaching culture in your school and learning how it could help you realise your school’s vision, then you may be interested in our 4 Day Coaching Programme. The 4 Day Coaching Programme (which is approved by the Institute of Leadership and Management) will aim to provide senior school leaders with the knowledge, skills and confidence to utilise coaching powerful as part of their normal work role.